Taking part in a firefighting open day made Angela Fearnley rethink her career options. Angela Fearnley was thinking about joining the Navy as a marine engineer – until she got a taste of the firefighting life. She was attending an open day at a fire service training centre in Rotorua, organised by her brother for fire engineers to learn about the practical aspects of fires and firefighting. "I got to talk to a lot of fire engineers there. We did a range of typical training, trying out everything that the firefighters would do. I had a little bit of a change of heart from water to fire." Fire engineers design fire safety features in buildings or structures, working closely with other people involved in construction design. When it came to thinking about a career, Angela was also able to talk to her family. "My family has a background in fires. My dad was a fire safety officer and my brother is quite heavily involved in the fire industry." Despite this, she didn’t consider becoming a fire engineer until her second year at Auckland University where she was studying for a Bachelor’s degree in mechanical engineering. "I was always quite strong in maths and physics so I took those all the way through school and did my first year of engineering. I wasn't sure where I wanted to go. That's why I chose mechanical engineering – because it has the most options for further study. With a mechanical degree you can almost go into any field of engineering afterwards because what you learn is quite broad. "It was during my second year of university that I decided I wanted to do fire. It has been that ever since." To get her degree Angela needed to do 800 hours of work experience. After talking with her father and brother, she approached several companies and discovered consulting company BECA had a place for an intern. They hadn't advertised the internship because no one had applied in previous years. "They basically let me become a part of the fire team. I was working part time on and off while I was studying, working there over the summer period to complete my work experience. They offered me a graduate position once I finished my degree." Angela's education journey hasn’t finished yet. BECA is now supporting her to do a Masters in Fire Engineering through Canterbury University. 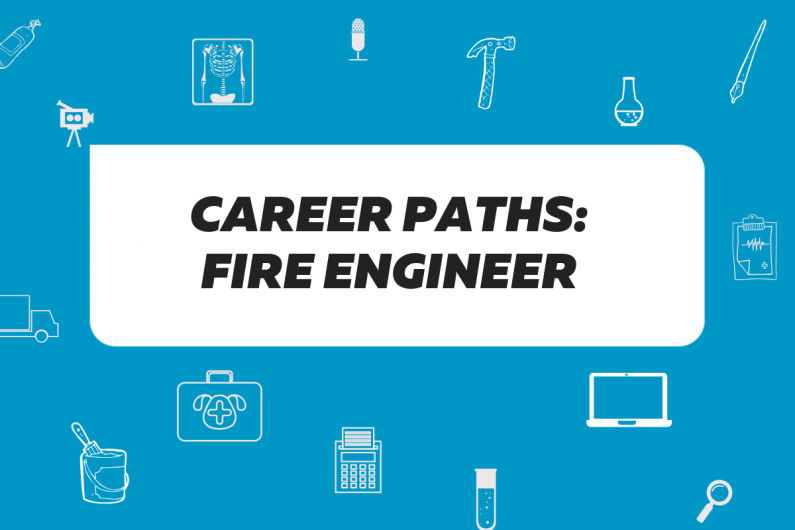 "A lot of people think you have to go through a certain pathway to get into fire engineering. However, because it's a new technical field there isn't really any specific specialisation you have to do in your Bachelor's engineering degree." She says you don't have to wait until your degree is finished to get a foot in the employment door. Doing the work experience for her degree at BECA led to her job. "They don't throw you in the deep end. They guide you and teach you. The more you do the more they'll push you, and the harder the work you'll get to do. It's a good balance." What does your career journey look like? If you’d like to share it with us, let us know on our Facebook page.